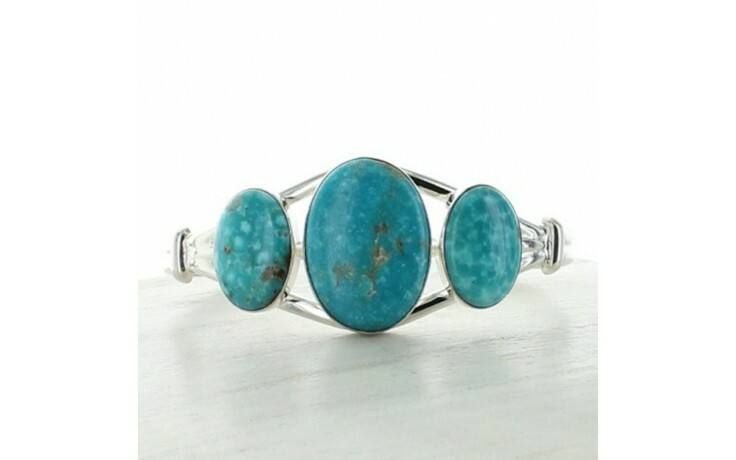 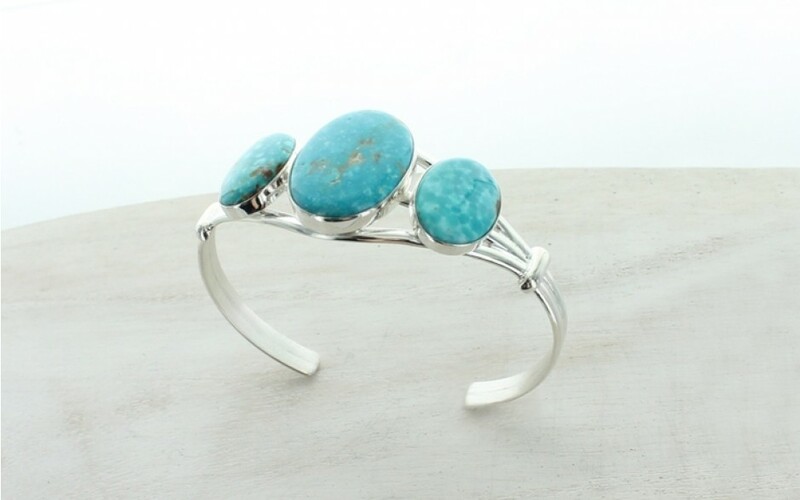 An oval blue-green cabochon is flanked by two oval cabs on each side and set in an open frame work of sterling silver. 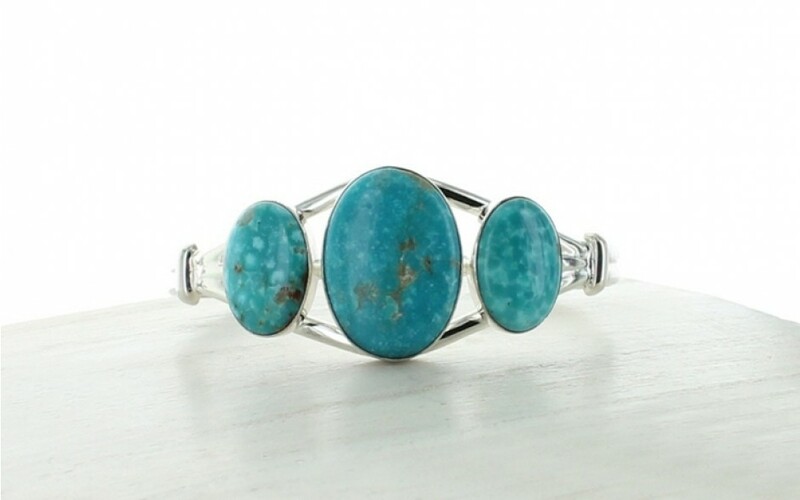 The center stone measures 18mm x 25mm and the smaller stones measure 13mm x 18mm. 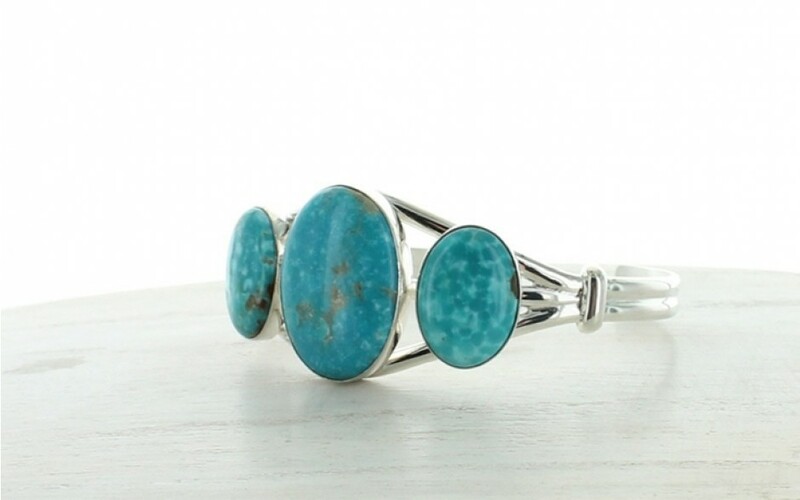 The cuff is 7" long by 1" wide.